Secretary Sonny Perdue celebrates the reintroduction of U.S. pork into the Argentine market, with U.S. Ambassador to Argentina Edward Prado. 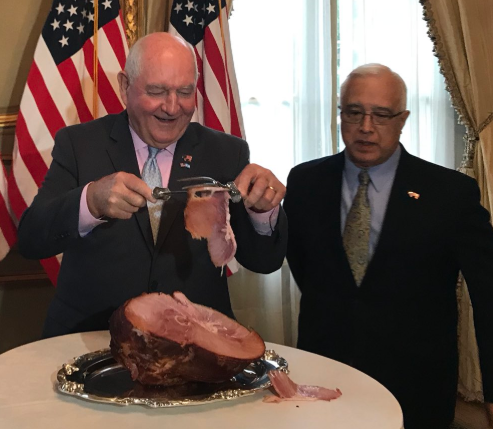 U.S. Secretary of Agriculture Sonny Perdue celebrated the reintroduction of American pork products to the Argentine market after more than 20 years by slicing a ten pound honey baked ham.